To assist you in rearing a sociable, well-behaved, happy dog’ the GSDCV Inc. is offering up to four free training sessions to help commence your pup/dog’s positive socialisation & training program. you are not obligated to join the GSDCV Inc for these free training sessions but they must be completed by a validated date, which is 90 days from the date of puppy purchase.The sessions are redeemable at any of the eleven GSDCV Inc training branches. 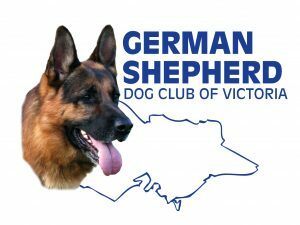 This offer applies to owners who are not members of the GSDCV Inc.
Only puppies purchased from breeders who are financial members of the GSDCV Inc and the Victorian Canine Association(VCA) can participate in this program. The free training class certificate is supplied to you when you purchase your puppy. 1. Members are to attend branch at least 10-15 minutes prior to training commencing. Dogs are to be left in car/trailers whilst member registers and pays for their class. After registering dogs are to be walked to settle them prior to class start. Members and dogs are not to congregate under the verandah unless under the instruction from an instructor. 3. Dogs MUST NOT be tethered, left unattended at any time, or left to roam. 5. Classes may be staggered at times in order to enable members and their dogs to receive appropriate instruction at training times. This will ensure handlers/dogs improve. 6. All training of members and their dogs is to be supervised by qualified or aspiring instructors only. 10. Children attending branch to be under full parental supervision at all times whilst at branch. 11. Announcements to be done each training day at a defined time, Branch Manager to announce upcoming events, items of interest, items from management committee. Chief Instructor to announce re training, pass up presentations or changed training times. 12. Members who have a concern regarding theirs or their dogs training are to consult with instructors of the branch only who will advise them regarding those concerns. 13. Pass ups with the exception of Puppy Class will be looked at approx each eight weeks. 14. Training members to bring their food/toy/dumbell to class every week preferably in a training bag that can be taken onto the ground when training. This alleviates these items being left at home/in the car etc thereby holding that dog/handler back as well as class. 17. At times members will be asked to assist by doing their share in the running of the branch. It may be helping clean up clubhouse, set out equipment, bring equipment back into clubhouse or supplying refreshments for morning tea. If all help out we will have a safer, cleaner and more social branch to attend. 18. This branch continues due to the efforts of volunteers so lets all be volunteers to make this branch a better place to be. 20. As an owner of a German Shepherd the breed will be judged by you and your dogs actions so set a good example whether training, walking in the street, playing with your dog in the park or out and about in your own community.